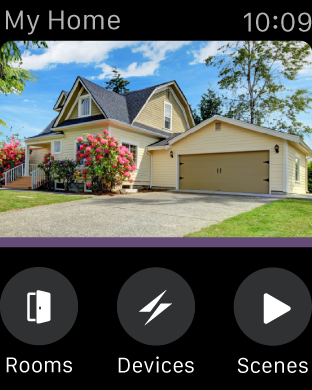 Using Apple HomeKit technology, the iDevices Switch is a connected plug that lets you control, monitor and schedule electronics throughout your home using your iPhone, iPad or iPod touch and Siri voice commands. The iDevices Connected app makes it easy to control your iDevices Switch from wherever you are without logins or hubs. The Switch is great for lamps, fans, holiday lights, small heaters, electric fireplaces and much more. Installation and connecting to Wi-Fi is quick and easy with the iDevices Connected app and Apple HomeKit technology. There's no need for hubs or logins. The iDevices Switch responds to Siri, letting you control your home directly from your iPhone, iPad or iPod touch. Control multiple products with a single Siri voice command that activates a particular pre-set "scene". For example, "Hey Siri, turn on my going to bed scene" might turn on your bedroom humidifier and turn off your nightstand lamp. I have 8 of the switch products. When they work, they work well. However the half life of working well for any given switch is 1-2 days. When it goes south, I have 8 of the switch products. When they work, they work well. However the half life of working well for any given switch is 1-2 days. When it goes south, you get a "No Response" message from the HomeKit app. Once this occurs, no amount of software attempts will restart it. You have to find the switch, unplug it from the wall, wait 30 seconds, and then plug ti back in. I have yet to go more than a single day before one of the switches goes into "No Response" mode. This results in effectively zero reliability, which is pretty much worthless. The rest of the house is still Insteon based, and those products continue to work well and be reliable. Maybe iDevices can find some solution, but without out, the entire lot is going back. Like all of the other reviewers here, when it works it's great - but it usually doesn't work. Constant disconnects from HomeKit that are solved only by power cy Like all of the other reviewers here, when it works it's great - but it usually doesn't work. Constant disconnects from HomeKit that are solved only by power cycling the device. These are great when they work. But the problem is they return "no response" half the time. Making them useless. I am 1,500 miles from home and cannot connect with any of my 4 iDevices switches. Apparently something happened with the Jan 2018 update. Tech support says I I am 1,500 miles from home and cannot connect with any of my 4 iDevices switches. Apparently something happened with the Jan 2018 update. Tech support says I need to be home and on my network to reconnect; a lot of good that does when you're away from home! I've never had any connection issues with our Ecobee thermostat or Nest cameras, so not sure why iDevices can't their act together. I have 4 of these switches and randomly they decide not to respond in HomeKit or on the iDevices app. I've exchanged numerous emails with tech support with no I have 4 of these switches and randomly they decide not to respond in HomeKit or on the iDevices app. I've exchanged numerous emails with tech support with no fix to date. Frankly I am now considering other similar products that actually work reliably. I really wish I could give this device zero stars because of its uselessness. It doesn't work. My experience with it was waiting for hours and repeatedly trying I really wish I could give this device zero stars because of its uselessness. It doesn't work. My experience with it was waiting for hours and repeatedly trying to get it to connect to HomeKit only for it to FINALLY connect and it probably worked for maybe a few hours. If I want it on I have to press the button on the actual device, which kind of defeats the purpose of actually owning it. The iDevice support team is extremely unhelpful. I haven't personally tried another smart switch yet, but please do not waste your money on this one. I initially chose this one cause it was a little cheaper and honestly it was a complete waste of money. Buy literally any other smart switch. You will regret it if you buy this one. Can this dim lights if connected and I have a dimmer bulb in My lamps? can this dim lights if connected to a lamp? Can the nightlight be turned off? This is important for a bedroom! Yes, you can control the night light independently of whatever is connected to the plug, as if the n Yes, you can control the night light independently of whatever is connected to the plug, as if the night light is a separate device to whatever is connected to the outlet. The colour of the LED can also be changed, including saturation and brightness. Is this rated for outdoor use? No, there is however an outdoor model that works the same way and has two outlets instead one and is No, there is however an outdoor model that works the same way and has two outlets instead one and is also rain resistant. Create the smart home you envision and realize the connected lifestyle you expect with iDevices Wi-Fi-enabled switches, outlets and thermostat. Whether you're at work, on vacation, or running around with the kids outside, control iDevices products from anywhere on your iOS device. The iDevices Connected app is packed with intuitive smart features, empowering you to make the everyday thin gs in your home extraordinary. We designed the app, but think of it as a blank canvas you can customize based on your lifestyle. Set schedules that cater to your daily life and make your home more efficient. Add a layer of security with location triggers that switch the lights on as soon as you pull into the driveway. 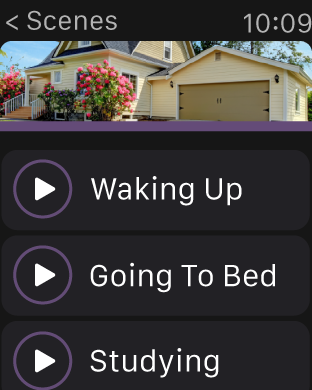 Design your smart home within the app and control it on a single screen. Make it your own with custom photos and accessory names. 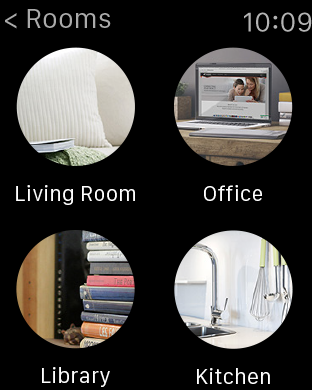 You can even group accessories into rooms and zones for simple, yet smart control. Know your home like never before with comprehensive energy reporting and custom notifications that give you a heads up when something changes, even when you're on the road. 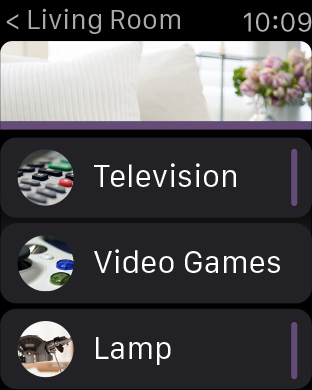 While there’s no need for multiple apps or hubs, you can set up your HomePod, Apple TV, or iPad as a home hub for even additional functionality, including sunrise and sunset triggers. You can also connect with the IFTTT app to enable custom triggers, link multiple accessories, and further automate your smart home. - Voice control with Siri®, Alexa*, or the Google Assistant*. *Requires Alexa-enabled accessory or a Google Assistant-enabled device.